Jordan Peterson, a controversial professor known for his views on transgender rights, gender, and race, was offered a visiting fellowship to join Cambridge’s Faculty of Divinity in Michaelmas this year. The University has now rescinded the offer after “further review”. Peterson had also said he was interested in running a series of “maybe [...] ten or so” public lectures on the Bible — a continuation of a 15-part lecture series he ran in 2017, in Toronto. Varsity has contacted Peterson for comment on the University’s decision. Peterson, a psychology professor at the University of Toronto, first became a household name in 2016, when he opposed an anti-discrimination bill which added gender identity to the Canadian Human Rights Code, making it illegal to deny someone a job or discriminate against them in the workplace based on the gender they identify with or outwardly express. Peterson claimed the law was an infringement of free speech and said that he would refuse to use any pronoun other than ‘he’ or ‘she’, sparking protests across Toronto University’s campus. Canadian legal experts also claimed he had “fundamentally mischaracteris[ed]” the bill. He is widely held to be “a lifestyle guru for men and boys who feel displaced by a world where white male privilege is under attack” and has amassed a large following, particularly following the publication of his book 12 Rules of Life. In a statement to The Guardian, a University spokesperson said: “[Cambridge] is an inclusive environment and we expect all our staff and visitors to uphold our principles. There is no place here for anyone who cannot”. Peterson has been vocal about his controversial claim that men are victims of gender oppression, that “the west has lost faith in masculinity”, and that enforced monogamy will stop men from committing violent crimes. Last year, he told The New York Times that the ‘incel’ responsible for an attack in Toronto which killed ten “was angry at God because women were rejecting him”, and that “[t]he cure for that is enforced monogamy. That’s actually why monogamy emerges.” Peterson has been criticised for deploying sexist stereotypes over compelling scientific evidence in his arguments around masculinity and gender roles. 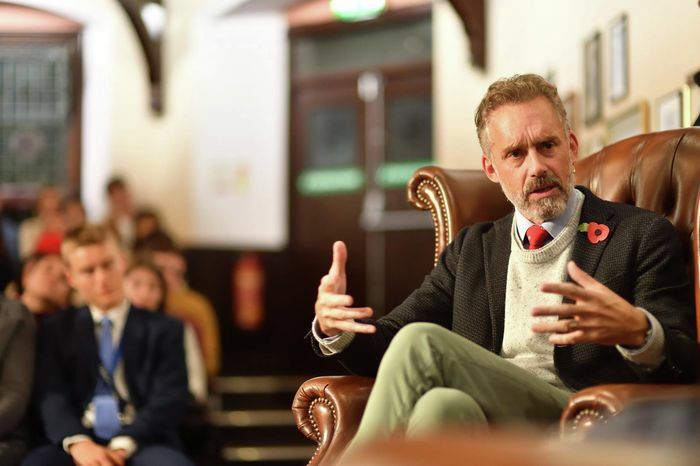 Peterson visited Cambridge in November last year to speak at The Cambridge Union. His event was interrupted by one student’s protest. Updated, 20th March 2019: This article was updated to include clarification from CUSU on an aspect of their statement. It was later updated to include a further statement by the University.